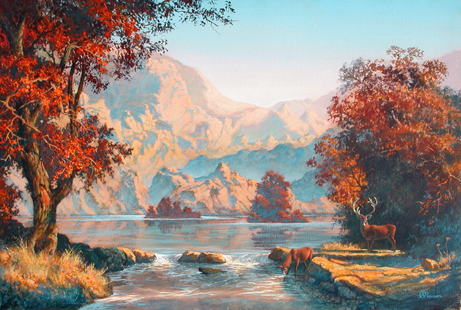 This autumn mountain scene could have been painted in the west highlands. The unframed oil on canvas is in my possession. I an able to print A3 in size making an overall framed picture size of approx 65cm x55cm.